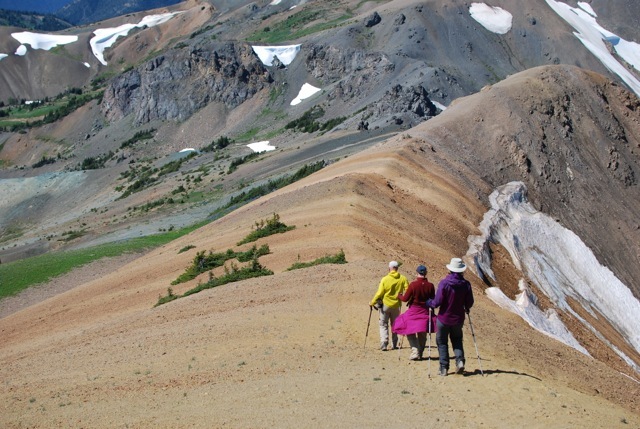 Our route through the Chilcotins Mountains have been designed to fully appreciate the diversity of the region. We have added a layover day in an alpine setting to enjoy the incredible scenery and to further explore surrounding peaks. The Southern Chilcotins have been dubbed “Wildflower Heaven” for good reason. 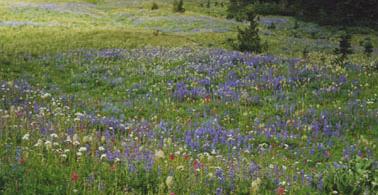 Alpine meadows present a tapestry of colours representing a variety of flower families. 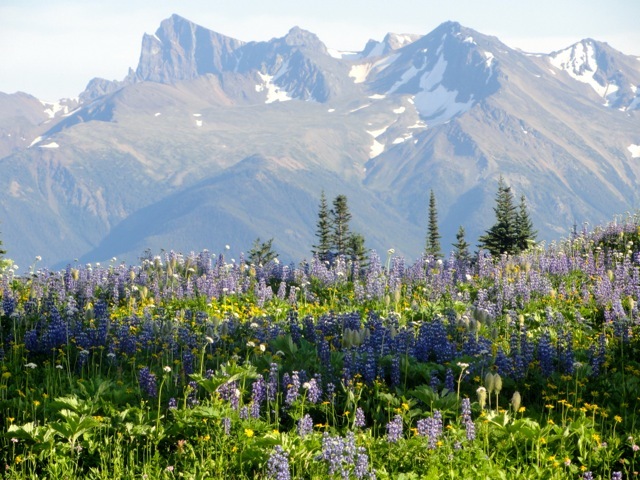 If you are a bee, or was one in another life, or just enjoy the smell and look of a flower garden gone crazy, then the Chilcotins is the adventure for you. Indeed, the Southern Chilcotins are British Columbia’s best kept secret. Included: Transportation from the point of origin and return, national park user fees, camping fees, cooking gear, camp stoves, tents, meal preparations, tarps, major first aid supplies, meals/snacks/beverages on the expedition, emergency radio or satellite phone, and professional guides. Meals: All meals while on the backpacking portion of the trip. Day 0: Arrival in Vancouver. This denotes the day or days spent in Vancouver before the listed start date of the trip. Day 1: We will leave Vancouver for our five hour drive to our starting point, north of Pemberton. The drive, along Howe Sound and the Coast Mountains, is an extremely scenic one. We will stop at Whistler, renowned ski resort for lunch. 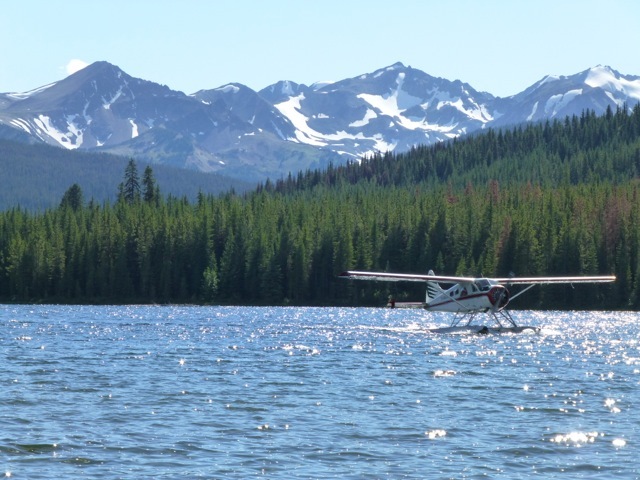 We will then enjoy a scenic floatplane ride to Warner Lake and then make our way to Trigger Lake. Day 2: Today, we will enjoy an amazing day-hike up to Deer Pass. The way up and down is a mix of forest, grassland and wildflowers growing alongside the small creeks. Deer Pass is a window between two mountain ranges – in one direction lie the snow-covered Coast Mountain Range and in the other the rust and ochre colours of the interior. Day 3: Spruce Lake is our destination today. 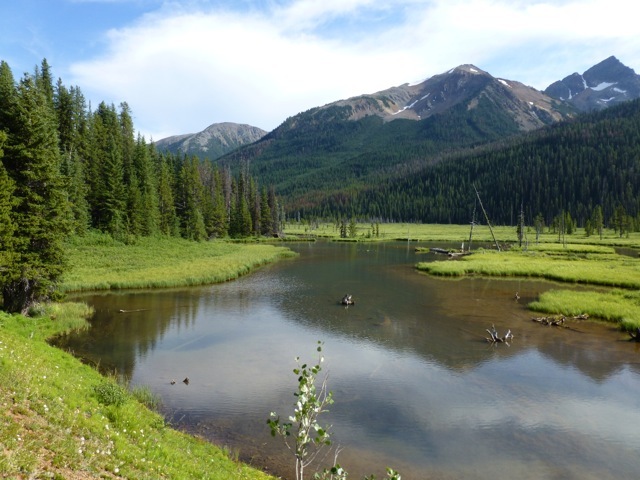 We will pass by Hummingbird Lake and then traverse some unique grasslands, mixed with whispering Aspen trees and lots of flowers. 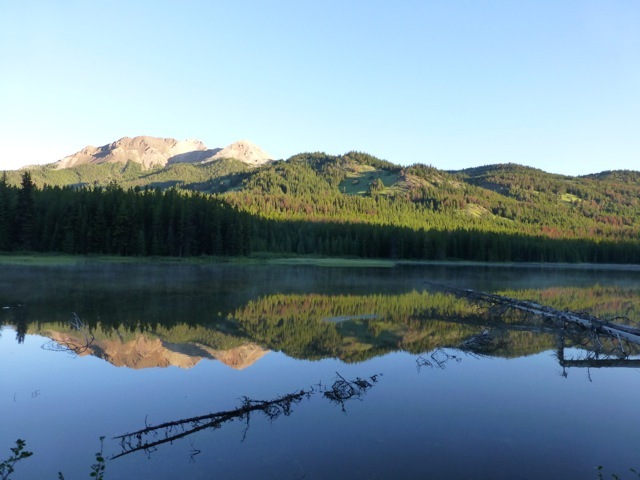 Day 4: We use today as another great day-hiking opportunity as we climb the hills behind Spruce Lake. The view at the top offers a fantastic taste of the surrounding lands. And of course there just might be some more wildflowers along the way! Day 5: Today (with lighter food bags!) we climb up and over Windy Pass into the High Country. We have a couple of options for camp tonight; we might go over a second pass to Taylor Basin or we might stay in the Eldorado Basin in an Alpine meadow. 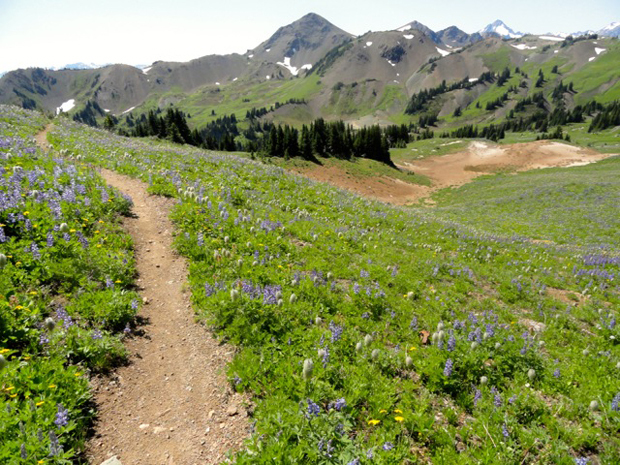 These upper meadows give us a second chance at seeing wildflowers if they have already bloomed at lower elevations. Day 6: Today, our last full day in the area, we will combine moving to our last camp with a ridgeline hike in the afternoon. Day 7: Our final morning hike will take us down, down, down towards our van and the drive back to Vancouver . Vancouver Many of the major North American carriers fly into Vancouver or alternately, Seattle. Check with your travel agent for options. There is a bus service, Quick Shuttle , from Seattle’s airport to hotels in Vancouver. These run daily and are reasonably priced. For more information, in North America, phone 1/800/665-2122 or 1/604/940-4428 – Fax 1/604/940-4429. Check the link regarding shuttles and other airport information.